Spring is finally here and boy are we glad â€“ we are celebrating the growing season by adding several new companies to the list of wonderful builders/artisans that we are fortunate enough to work with. Our two newest lines are Soloway Guitars and Gadow Guitars â€“ both are great and both broaden the boundaries/style of the instruments we offer. 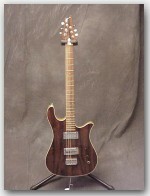 Jim Soloway and his â€œSwanâ€� â€“ â€œLong Necks and Big Bottomsâ€� definitely has a unique approach with his 27â€� scale length (she is tuned standard),16â€� radius, and chambered Swamp Ash bodies with various beautiful tops â€“ such as Bolivian Rosewood, Australian Lacewood, and Burl Maple. They have unbelievable clarity and articulation. Playing complex tone clusters is not a problem. 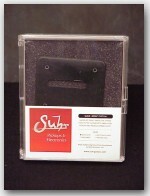 You hear every note and nuance the same way you do with a great acoustic. 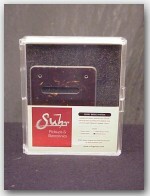 The tone is very round and pleasing â€“ to the point of making you play slower with less notes just so you can hear the Swans voice. 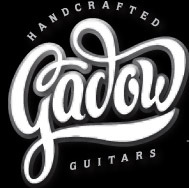 Ryan Gadow and his Gadow Guitars are located in Durham, NC â€“ right in our own back yard. I was absolutely knocked over by these instruments when Ryan and my friend Ken Johnson brought these by for us to check out. We went with two of Ryanâ€™s Custom Hollows. Both are semi-hollow, bolt-on single cuts with a distinctive tear drop sound hole located on the upper bout . Scale length is 25.5â€� with a 12â€� radius and a 1 Â¾â€� nut width. 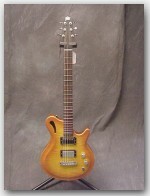 The Honeyburst has a 5A Maple top on Mahogany with 2 splitable Duncan Humbuckers (Jazz neck and a JB Bridge). 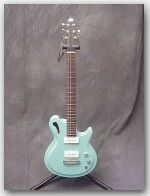 The Tail Fin Green sports two Duncan P-90â€™s. The soft pastel blue/green finish (masterfully done by one of our old friends Stike) just killed me right away â€“ reminds me of â€˜50â€™s era cars that I always wanted. Amazing Amps at Indoor Storm !! On the amp front, our world has been certainly been turned upside down with the Egnater â€œMod 50â€�,Suhr OD-100 Classicâ€�, Reinhardt â€œ18â€� and â€œTitanâ€�, and last but not least the Carr â€œHammerhead MK 2â€�. If you havenâ€™t had a chance to watch the videos of the Egnater and the Suhr or listen to the sound clips of the Reinhardts and the Carr please do â€“ I think you will enjoy the great tones living in these amps. Click on each amp to see videos and hear soundclips!! 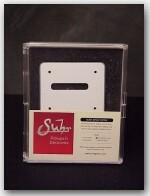 We have been moving a ton of John Suhrâ€™s BPSSC Systems â€“ it is a backplate with electronics that removes the 60 cycle hum from your favorite 3 single pickup guitar. They come in 4 different colors to work with any Strat out there. 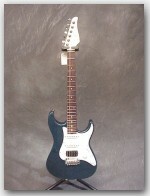 Rumor has it that even David Gilmour is interested in putting one on his #1 Fender Strat â€“ Holy Cow, now thatâ€™s saying something. 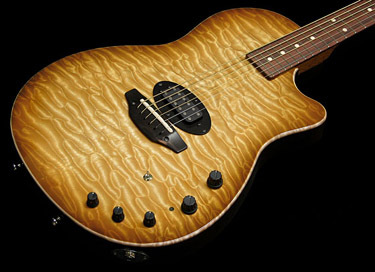 Tom Anderson has certainly hit one out with his new Atom and Hollow Atom Models. 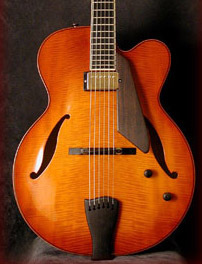 We have several in stock including the 3 M series Pickups, hollow with Bigsby, in the Fire Finish with the quilt top â€“ Boy is this one talking to me. 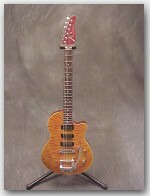 She is almost like having Gibson, Gretsch, and Fender built into one guitar with Tomâ€™s quality. What a combination !!!! 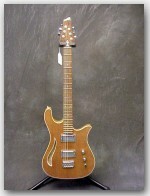 By the end of the week we will have 25 of Jack Briggâ€™s Guitars on order â€“12 of which are already spoken for. Delivery time is 10-12 months so if you are thinking of moving in this direction I would suggest getting onboard soon. 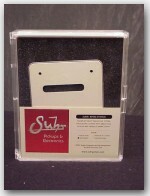 Also, our business hours are 11:00am-7:00pm EST Monday Thru Friday, and 11:00am-5:00pm EST Saturdays.